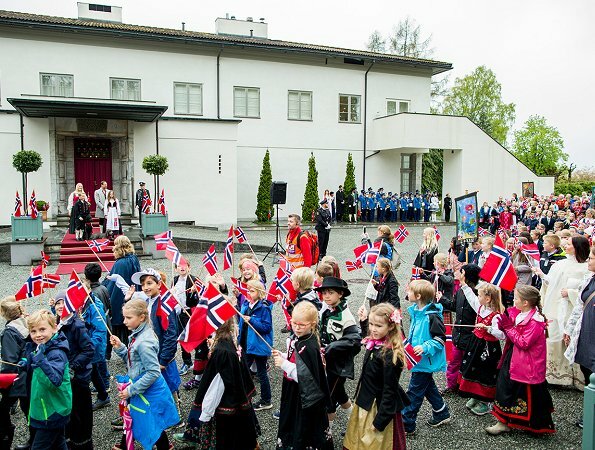 Crown Prince Haakon, Crown Princess Mette-Marit, Princess Ingrid Alexandra and Prince Sverre Magnus attended the Children's Parade outside their home Skaugum on Norway's National Day on May 17, 2017 in Asker. 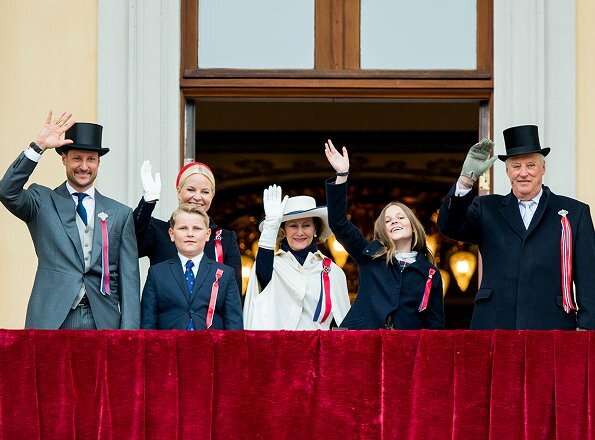 King Harald, Queen Sonja, Crown Prince Haakon, Crown Princess Mette-Marit, Princess Ingrid Alexandra and Prince Sverre Magnus, watch the annual Norwegian National Day parade from the balcony of the Royal Palace in Oslo. Ask instead why the admin didn't select a picture she was smiling on, because there are several in the same series. @Louise: I didn't want to be rude towards the young lady. I find grumpy teenagers quite amusing. 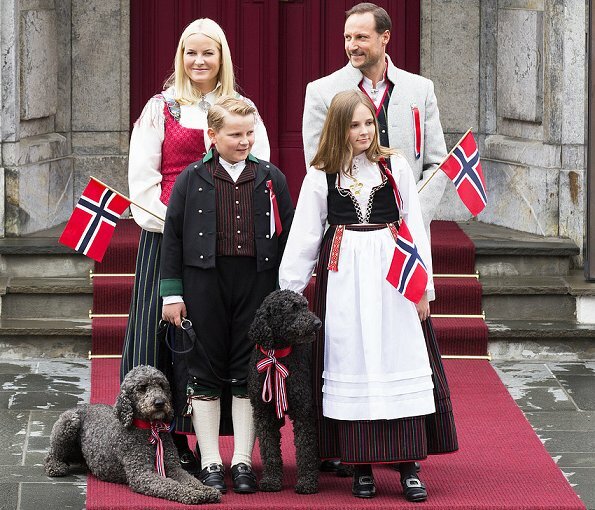 Love the norwegians for their national outfits. Always look so good. So envy! They look perfect. I don't think the kids like the costume, and who could blame them? Maybe I'm wrong but they are modern kids, tradition may not represent the same things for them that it does for their parents & grandparents. Beautiful national costumes, all four of them look great. They all look nice. The costumes are charming. Even the cute dogs are wearing patriotic ribbons! 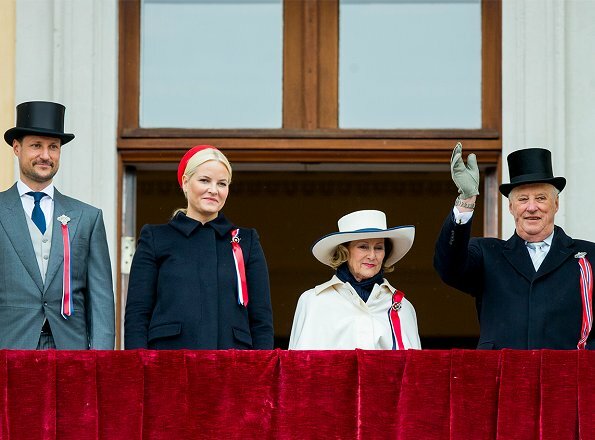 I just love Queen Sonja's hat. I love her hat and the rest of her outfit. Beautiful and elegant as always. 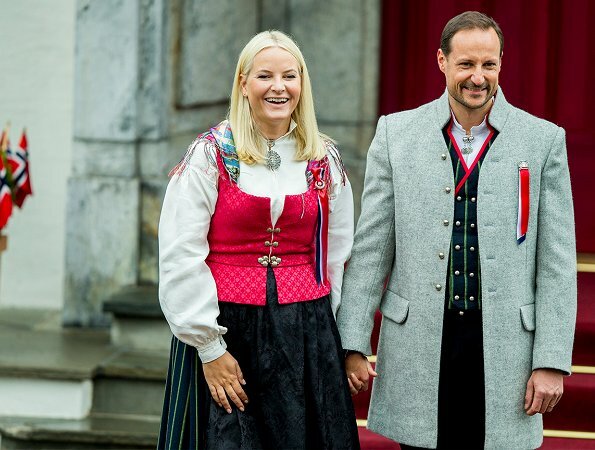 First picture: Perfect for Mette Marit and Haakon, they are both beautiful! 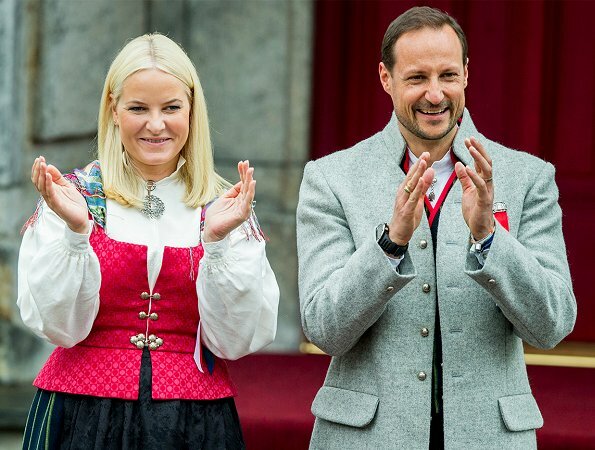 Maybe the Crown Princess should always wear her traditional outfit, ha ha! It suits her really very well! Queen Sonja, just "wow" (as always)! I love these group photos because I enjoy seeing resemblances. 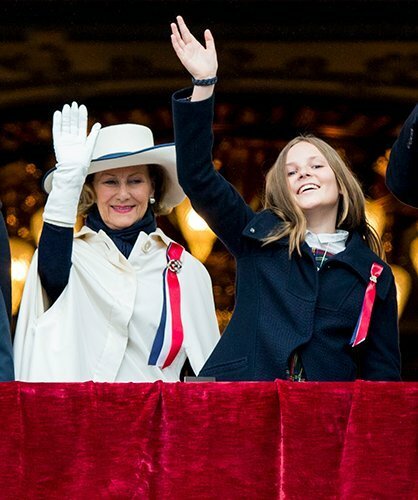 To me, Ingrid Alexandra looks so much like her grandmother, Sonia. 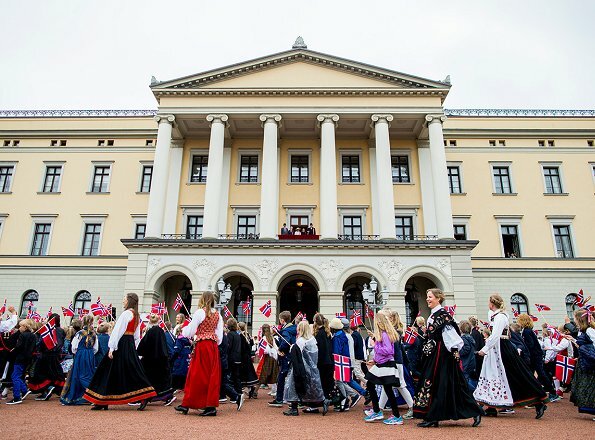 Lovely pictures of the Norwegian Royal Family. 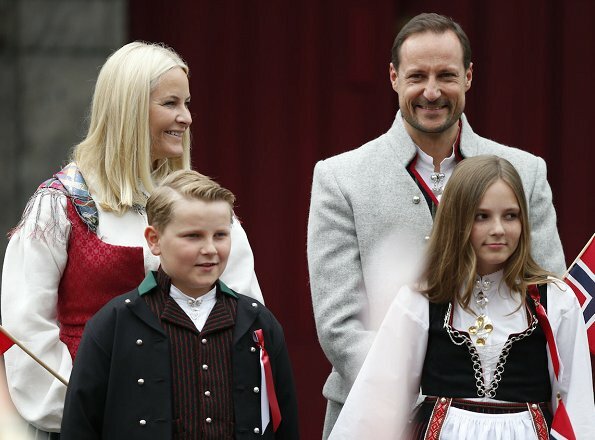 The Crown Prince Family are beautiful in their National Costumes. The color suits MM very well. I love the picture with the dogs.